The Magician - also known as Yagudin... Long live Bumbarash! Who is "moderately successful" professional? Yagudin?? I'm sorry. I was surprised. Sorry. Yes, he has not many jumps after the surgery - but he jumps - and has to be an amazing artist. His body is unbelievable musical! And he's able to look into eyes of all the people around. They ALL are successful. Averbukh's team. They have Averbukh to create shows - and they have Yagudin to fill all the space with love. And they are a team of champions: Totmyanina and Marinin (Olympic ch, 2 world ch), Navka and Kostomarov (Olympic ch, 2 world ch), Domnina and Shabalin (world ch, Olympic medalists), Denkova and Staviski (2 world ch), Petrova and Tihonov (world ch), Polishuk and Besedin (world ch-s in ice acrobatics)... It's great to see Vanagas with them, Vanagas is charming! If something isn't as good as it should be... the authors of reviews and salesgirls in a grocery will say: "We didn't like the show, we liked Yagudin." Later they will add, that some other skaters were not bad too. That Totmyanina (Yagudin's wife) is full of artistry and emotions now. That a happy family is a good thing for a lady. 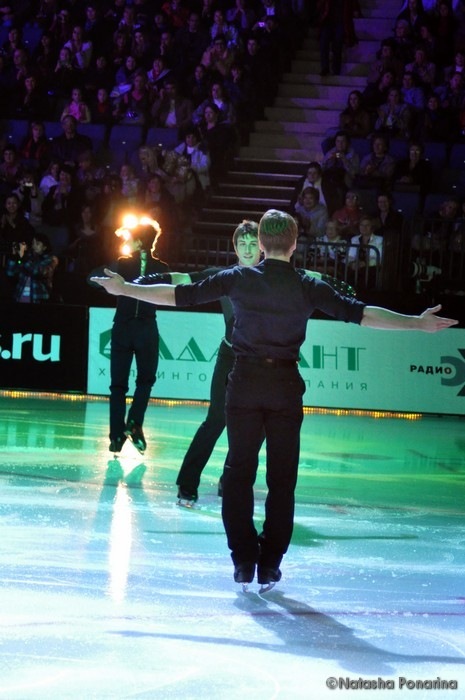 But "The City Lights" is an amazing show: all the skaters are wonderful. The final is marvelous. People are crying. And "Carmen" is gorgeous, of course. Yagudin... has the main role. No, not Carmen. He is The Torero - and also The Fate. He happens to be unreal! He represented Russia's bid to host the 2019 Winter Universiade in Krasnoyarsk. And we will host these games. Sometimes he has no time to sleep. He is a TV host - very good! Not extraordinary, but very good (different projects). He plays in films and at theatre (long roles - and no opportunity to repeat anything). He played the role of president Putin, by the way. But... I can't say, that he is a good actor off ice now (though he is a brilliant actor, when he is skating). Maybe he would be better in films or at theatre, if he had more time for this; or... maybe our contemporary films are a little too boring for him. He skates around Kremlin in his best shorts (Kremlin is the president's palace in Moscow). They skate in other countries. Now they like to spend the summer in Sochi: in the evening people get out of sea - and come to see them skating. Even now he says, that he almost can't train. He needs people: when he skates for people, he forgets the pain. But he is happy now. He is dancing and jumping, when everybody are walking. Yagudin also skated it on Plushenko's annyversary. I don't know, who invented this joke. This is Alexei without any mask, I think. This is real Lyosha! "WITHOUT SAFETY WIRE" is a strange TV-project, where Yagudin was invited, when another man decided to leave the project. They didn't have much time for each number. I also ask you: no "Carmen" now (nor videos of other new programmes). Please. But... this show is unbelievable beautiful! And Yagudin is gorgeous! He can skate in a pair now. What is beautiful? He is absolutely not shy to be obedient, to revolve around the girl, nestle to her - and no distance between them. But he remains a man. He is... a wonderful dancer. He won in the project "Bolero" (with Kristina Kretova). I'm not sure, that you will like this programme at once. But... if you love Alexei, if you are ready to love Russia, you should try to understand. I'll do my best to help you. Soon. We have to wait for Yagudin, but... you'll notice him, when he will appear. GUYS BOXING - SOI 2005? This song is Ukrainian, by the way. We are nearly one nation. ATS 2012: "We found love"
And... also in a pair. Just funny. Victoria Daineko isn't a skater, she was trying to do the best. And his programmes in sport are... marvelous. Yes, he is the one, who should have done it. Oh, and awesome videos from ATS - 2012! 3:00 - Alexei's great speech: "Hi!" 10:00 - His second speech: "I'm your grandfather! Thank you, that you invited the handicapped person..."
00:30 - their answer to Alexei: "You are our baby!" Male skaters were questioned with the gentlemen’s quality. Yagudin answered, that the gentlemanship is "maintaining the quality as a human being." He is the only one, who didn't start to speak about women, good manners, style and etc. But his simple answer is exhaustive, isn't it? About Bumbarash... These songs do fit Yagudin! The songs are very important in this programme. About Alexei's name. We call him Lyosha, Lyoshka, Lyoshechka, Lyokha... And the difference is important. Russian language is full of love. One of my all-time favorite skaters. Best thread on FSU confirmed. Sorry, I didn't know, that I won't be able to edit my posts... OK. Now I know it. If you love Alexei... you will have to love all the world. But it is not too hard. You will like it! It means, that Petrova can sleep on Yagudin. And she shines! In 2016 Yagudin finally got married. Somewhere in Siberia. Tanya was saying to him even on the wedding day: "Let's go from here..." But he didn't let Tanya escape. He has two children, you know. They try not to laugh. "Nothing has changed!" Yes, I'm shy to make subtitles with mistakes. I would be grateful, if a native English speaker would like to help. Maxim: With the most beautiful people! I think, they don't see each other often. But Lyosha doesn't need much time to become a friend. Volosozhar and Trankov are amazingly musical too. And amazingly strong. Maybe we don't have great single boys now - but we do have great skaters! We had the Olympic programmes (2002) in HD quality - now we have a little more. Enough. We will save these two links. So... what do we know about Joubert? Yagudin not only did the work he was asked to do, he tried to help Joubert by all means. Indeed. All means. After Europe 2002 Joubert spent two weeks in Calgary preparing to the Olympics with Tatiana Tarasova. He was impressed, that Yagudin was giving advices on some elements to him. Even though Joubert executed a few jumps one by one, when he was practicing, he noticed, how hard Yagudin worked: 3 or 4 quads one by one, 12 triples "in one breath". (maybe these are Joubert's words, maybe just the translator's words) "Now I understand, HOW my practice might become more intensive." - Joubert thought. 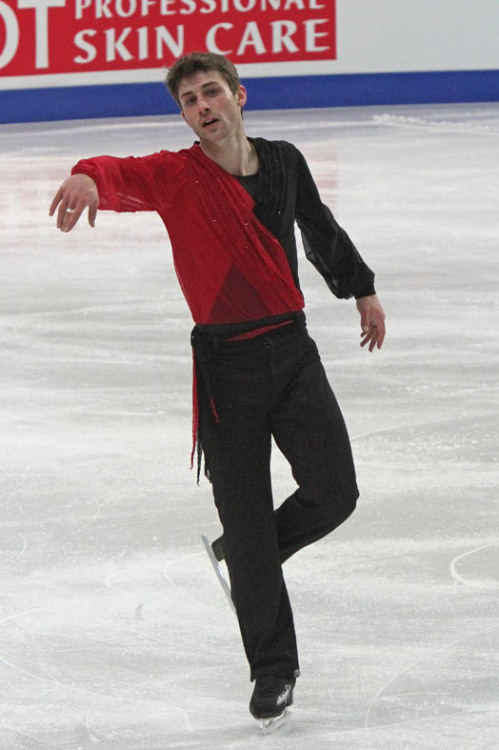 Yagudin had to withdraw from Skate America 2002, and Joubert became the winner. Tarasova said it to Joubert, when she was passing by him. Joubert says he was smiling, when he saw the results, but he didn't want to jump for joy, because he was worried about Yagudin. So later Joubert asked Yagudin to help him. "Alexei taught me the jumps (subtle details). He taught me the methods of the psychological preparation to competitions. I'm very grateful to him. ... If Alexei reads these words, may he let me hear from him, I am out of contact with him lately." Why? I think he wants to awake Joubert, to make him get concentrated. Tarasova pinched Yagudin. Lyosha said he didn't need it and tried not to turn his back on Tarasova. Later Yagudin started to skate in a pair. He says one girl skated better, if he pinched her, - another girl didn't need this. In 2006 Yagudin wasn't at Olympics with Joubert - but he telephoned on that day, when Joubert was going to skate, and advised to spare no effort, but to remember the Olympic medal is not the most important thing in his life. "No matter what will happen, we will continue working together. 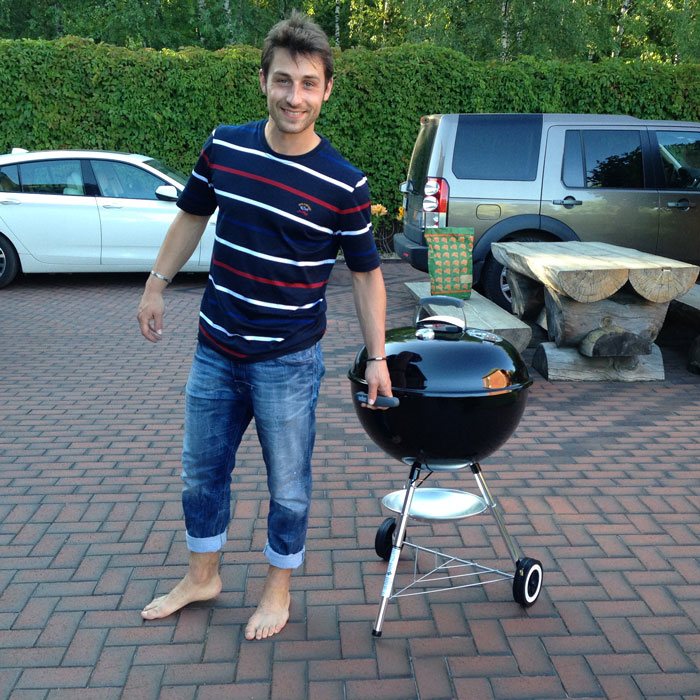 And a few years later we will meet on a barbecue together with our families and our children, and the Olympics will be the last thing, which we would like to talk about." Joubert understood, that he is a friend for Yagudin. "The Russians and the French are somewhat alike. It seems sometimes, that we are not fond of socializing with strangers, but if you are let in, you are a friend. For everybody at once." - You often perform in Russia. Why? What do you like? - The audience. I'm always hearty welcomed here. "I can say I'm a little bit Russian." "The main thing I learned -- I learned to work hard." Yagudin: "Yes, I tried to help him, but the French people are really stubborn." Yagudin's text: "Dressed up as Joubert. What a fine design!" the girls voice on this video: "I will watch this before going to bed!" Rina, I can't keep up with you!!!! Thank you for giving us so much to see. I love this. Brian liked, that Yagudin didn't try to pose as his coach. Yagudin wasn't blindly obedient to Depouilly, but didn't try to play a leading part. The working climate was very nice. Even though often Joubert didn't understand Yagudin without a translator. When Yagudin says, that Tarasova is a great coach, he notes the same thing: he was very impressed Tarasova was ready to lead him to another coach, if she couldn't solve a problem. She is great, she knows everything, but she is ready to ask advice. "I am a gladiator, Yagudin is a gladiator. Are you a gladiator? Go and bring some beer." "I am also interested in my potential successors and am closely competitions youth categories. 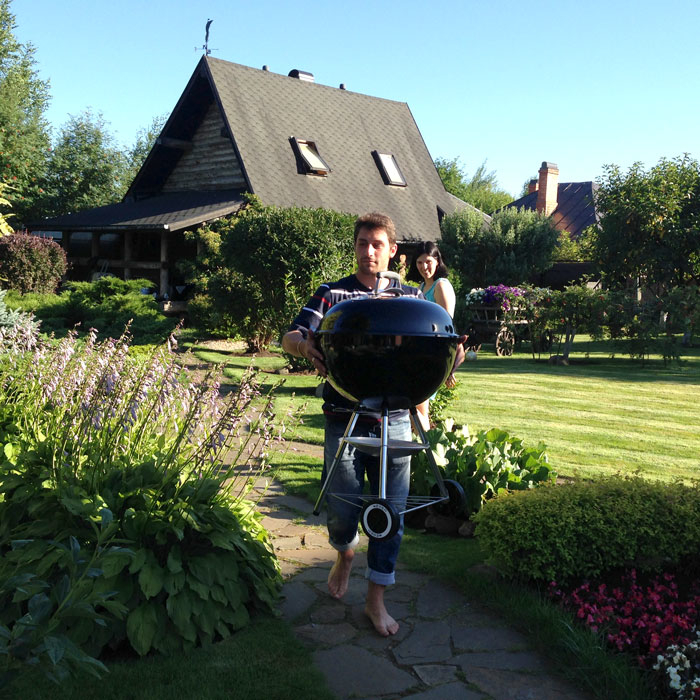 Among the budding champions, Romain Ponsart is a special case. At thirteen, this Charleville-Mezieres skater reminds me of Brian Joubert at the same age! We met during an internship in Courchevel. Since then he calls me regularly, as soon as he managed a particular difficulty in training. He is a passionate, a hard worker who spends lavishly to get there. He would like that I send him my tunic with Matrix to skate! But it is still a bit big for him, he will wait. He is also a fan of Yagudin." - I met with Alexei Yagudin at 3 competitions, but he had to withdraw from sport. It would be interesting for me to fight with him.